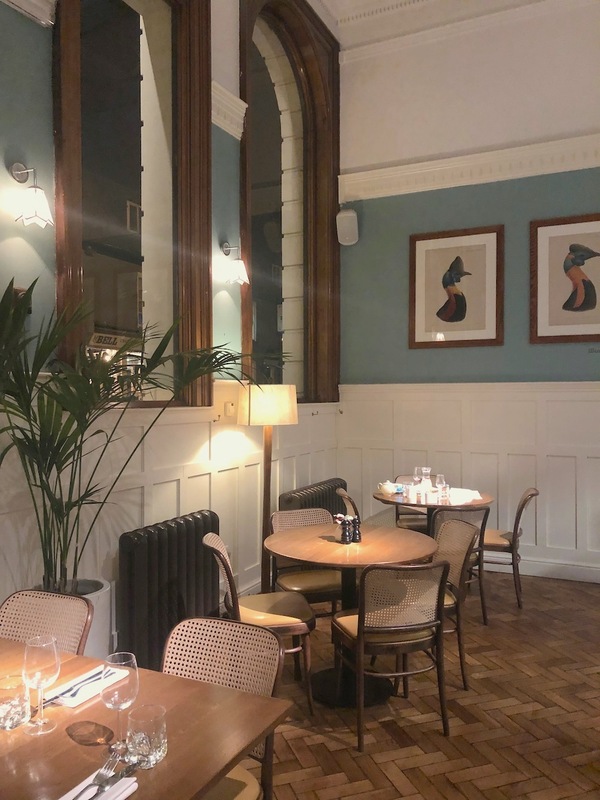 Joining Hertford, St Albans, Harpenden and Hitchin, the pretty market town of Tring is the latest Herts hotspot to host to a Lussmanns Brasserie – ooh, fancy! 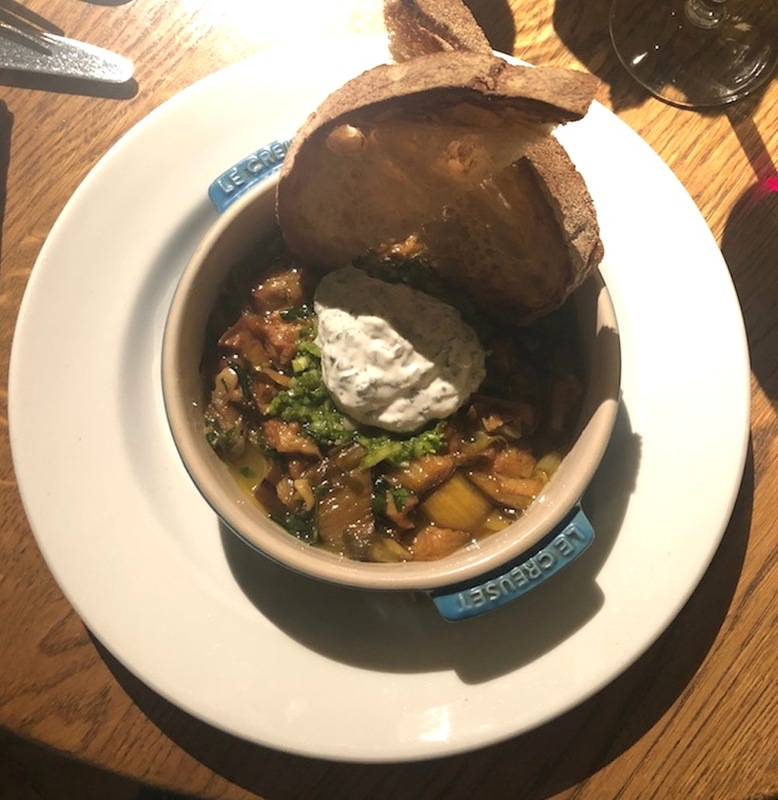 Ok, so it opened back in April 2017, but recently Lussmanns has upped its game with a new offering of veggie and vegan options on its Winter Menu. So, as a lifelong vegetarian it seemed apt that checking it out would be my first assignment as your new editor of Muddy Herts & Beds… pleased to meet you; reporting for duty! Housed in the High Street’s Old Bank, Lussmanns is pretty impressive from the outside. Plus, you can’t miss the giant turquoise banners boasting (I mean, why wouldn’t you?) of its place in the Sunday Times Magazine’s Best 100 Restaurants 2018. 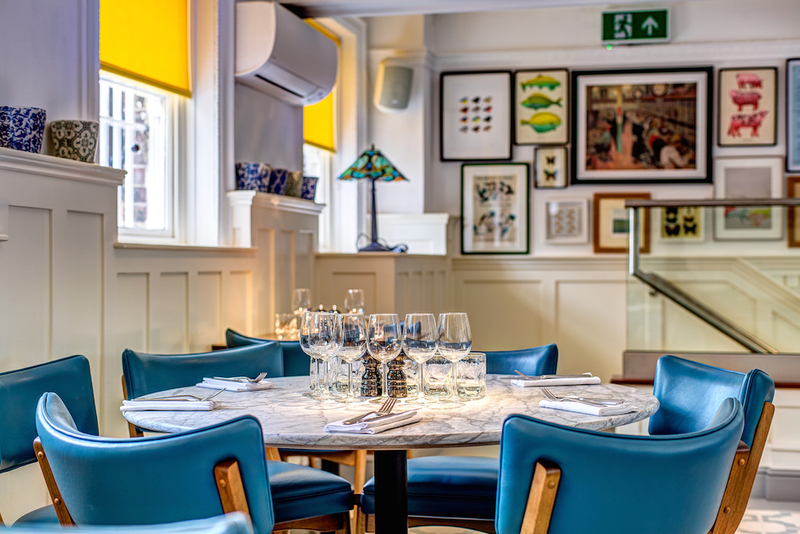 Keen for his restaurants’ décor to feel as on point as the food, the group’s Managing Director Andrei Lussmann and his team have done a lovely job of restoring this elegant 1920s building. 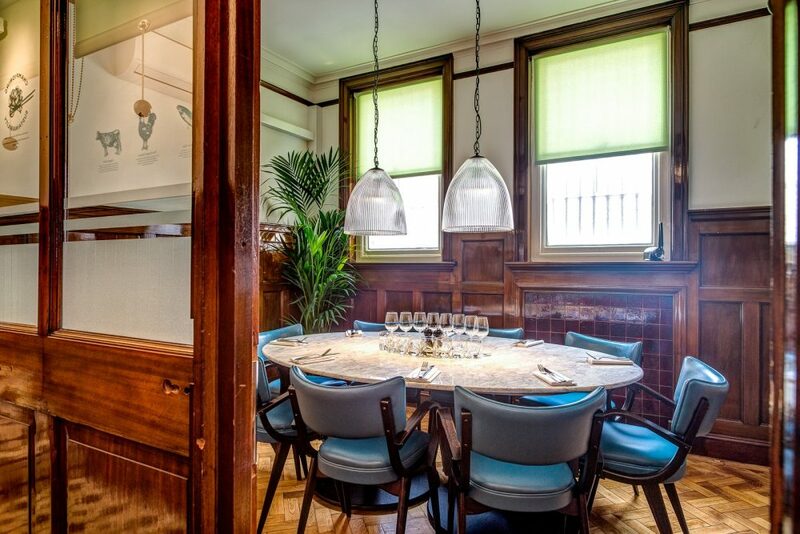 With character in spades to work with, from the original herringbone floors and vaulted ceiling, they’ve converted the the wood-panelled former bank manager’s office into a private dining room and even made a feature of the old safe, with its Fort Knox-like door opening into part of the kitchen. There’s a window into the kitchen, so you get the feel of being in on the action without the clattering of pans creating a soundtrack to your meal (don’t you hate that?). And at risk of sounding a bit fuddy duddy, the volume of music was just right, too, so my husband and I were able to have a proper conversation, aware of our fellow diners, but without worrying that they were earwigging. 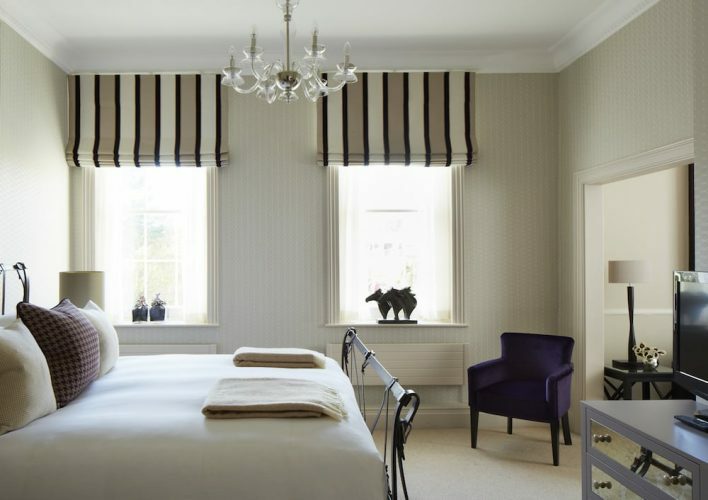 The character features have been brought up to date with a Farrow & Ball colour scheme and trendy Neisha Crosland floor tiles, which gives it a contemporary, if slightly Colonial feel, but, what struck me was the palpable air of calm, from the sea-green hues (it’s relaxing, don’t you know), to the cool and collected staff. Whilst we could have easily been in a chi-chi London restaurant, thoughtful additions such as a gallery of works by local artists on the mezzanine and a collection of cassowary bird illustrations (on loan from Tring’s Natural History Museum, round the corner), help to give Lussmanns more of a local feel. 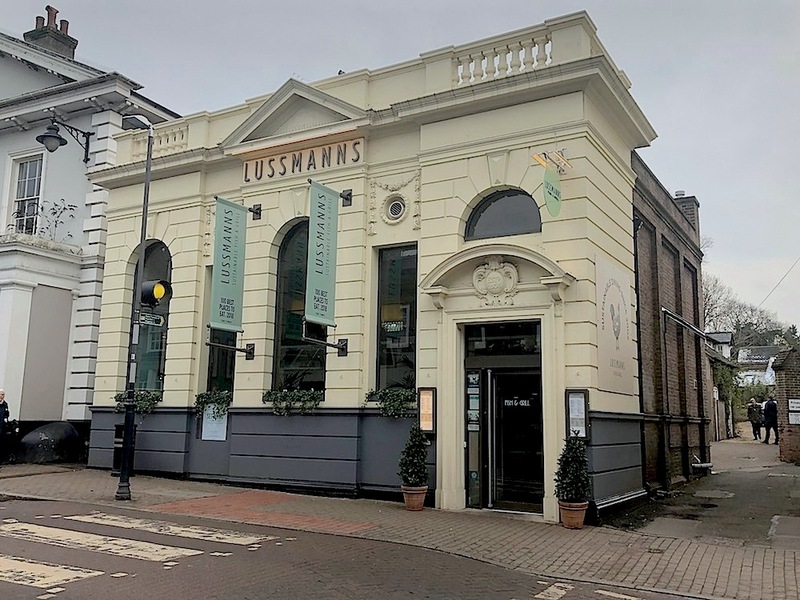 Primarily a fish restaurant, it’s not the kind of place you’d expect to find a decent vegetarian option, let alone a vegan one but hey, this is 2019, and with the Home Counties hot on the heels of London with the plant-based food craze, Lussmanns’ offerings are a welcome addition. Even the vast majority of their wine list is vegan, if that’s your bag. Oh and they are really big on sustainability here, too, (they’ve won awards for it! ), with 95% of the food they serve grown or produced in the UK. My Spiced aubergine and chimichurri casserole starter was a warm mezze-style dish – tangy, fresh and flavourful, which I followed up with the Chestnut Mushroom Fricassée (yup, I had to Google it too…) – a thick and silky sauce over a generous helping of hearty Jerusalem artichokes and earthy mushrooms. I was glad of the salad garnish to cut through the richness, while the truffled potato crisps added a salty crunchiness. And if you were wondering about the fish, my husband’s hake was cooked to perfection and served with a dauphinoise-like confit of fennel and new potatoes, which he said he’d eat again and again. To finish we shared a dessert and a build-your-own cheeseboard. Not usually one for chocolate puddings, (I know, I’m weird), I gave in to my husband’s choice of dark chocolate mousse with a honeycomb crumb. Smooth and creamy, but without the bitterness you often find with dark chocolate, it wasn’t overly rich, and we had no trouble polishing it off. And, if you’re partial to a pongy cheese, like me, I’d recommend the Bon Laity from the cheeseboard – a gooey, stinky delight. 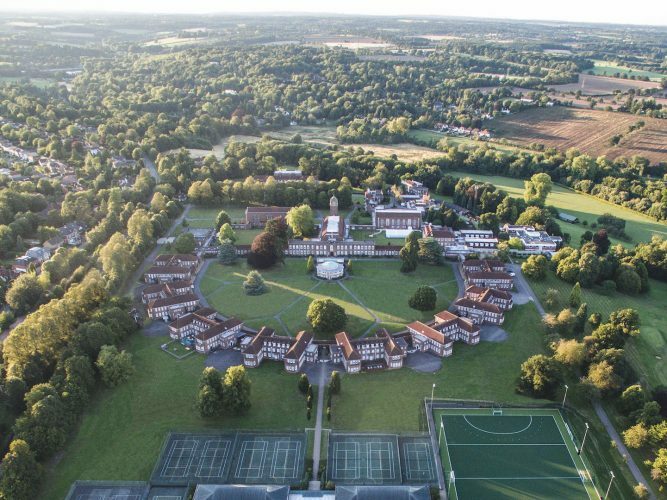 Take in some local culture with a post-dinner show at Tring’s Court Theatre, which puts on a good range of dramatic and musical performances for a provincial playhouse. By day head to Tring’s outpost of the Natural History Museum to see some real (well, stuffed) cassowary birds from the Rothschild collection, and explore the eclectic mix of shops along the short stretch of high street (you’ll walk from one end to the other in under ten minutes). Dotted amongst the charity shops (some rather good ones actually! ), coffee bars and hardware stores are The Market House, with it’s contemporary, covetable homewares, Fancy That – a grotto of gorgeous gifts – and quirky fashion boutique, Lolly & Mitch. 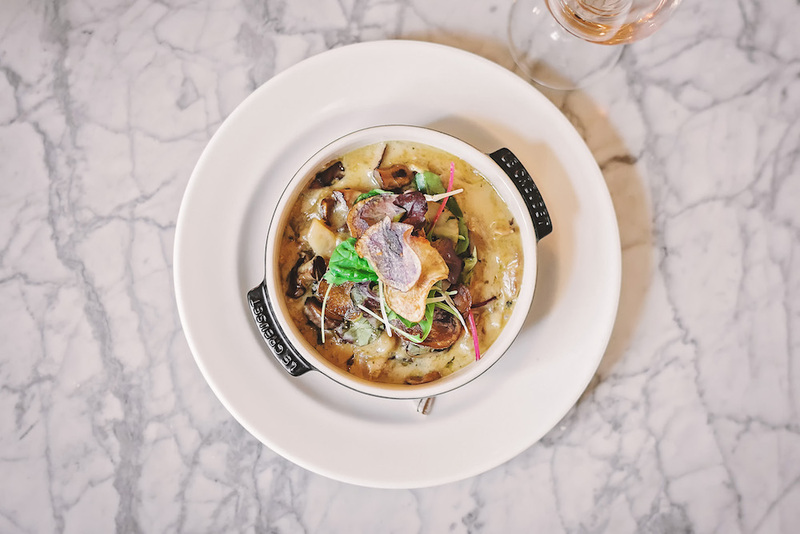 Good for… A low-key date night or sophisticated supper with the girls… soak up the chilled atmosphere, resist the urge to neck your glass of wine and take your time to ruminate over a full three courses. Book the table in the bank manager’s office (which seats 8 comfortably, 10 at a push) for a private dining experience – think birthday dinner with friends, or grown-up family gathering – at no extra cost. The damage: There’s a set menu at £14.50 for two courses and £17.50 for three courses, which is a reasonable option. 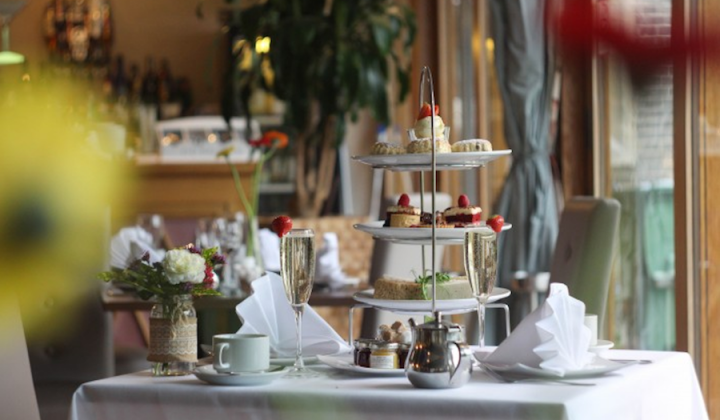 If you choose from the House menu you’re looking at between £6-£8 for starters, £13 and upwards for mains, and around £6 for desserts. Wine ranges from a perfectly acceptable £18-£40 a bottle. Not your area? Find more great local places to eat out near you, here.